Can you help put a name to the two unidentified members of the Billericay Society bulb planting team. 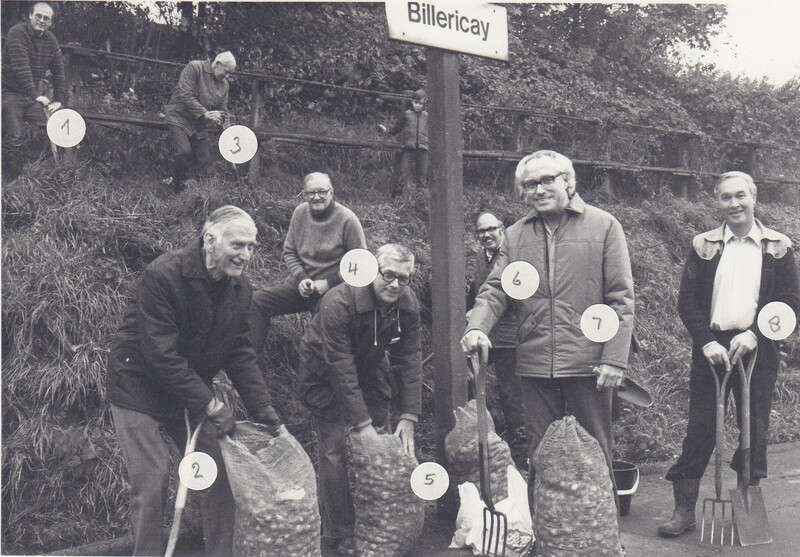 Bulbs were planted on the embankment of Billericay Railway Station on 6th November 1983. Perhaps you recognize yourself. Let us know by adding a comment at the bottom of the page. The Billericay Society newsletter for November 1983, No 71, lists Alex McGregor as Chairman and Newsletter Editor. He was only one of the many walk leaders. but may have been the walks organiser.